About a year ago, I read "The Six Most Important Things You Never Knew About the Chakras" and it's probably the origin of my fascination with the chakras. 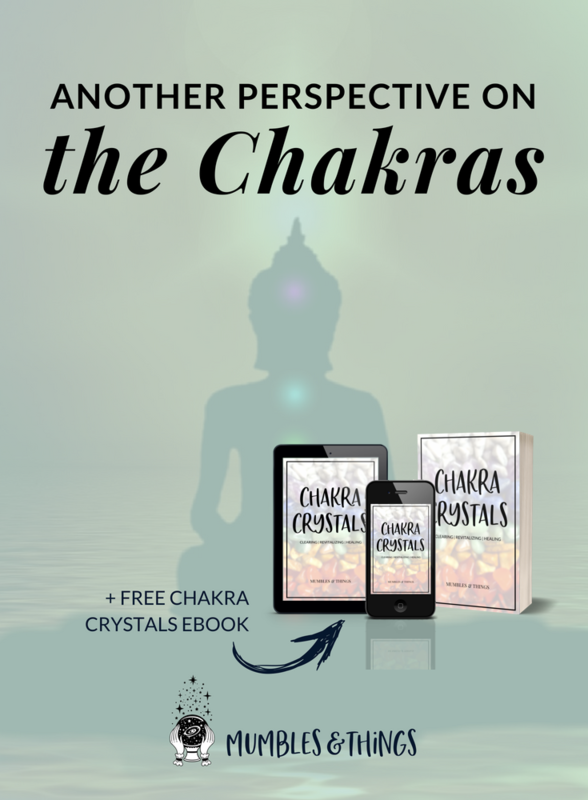 Many people have used this article to scoff at Western Culture and how it has influenced chakra healing and meditation. Before I get into this perspective on chakras, let's make sure we're all in the same ballpark as far as defining the word "Chakra." The Sanskrit word Chakra literally translates to wheel or disk. In yoga, meditation, and Ayurveda, this term refers to wheels of energy throughout the body. Chakras are essentially different places in your body where energy pools and recycles. Most of my knowledge on the Chakras comes from western teachings. I am by no means an expert and, in some ways, I am learning just as much as you are. So, here are some links to the bare bones basic of chakras as I know them. What I know feels like the tip of the iceberg, when it comes to looking into this stuff more. Here are the six things that will change everything you've ever thought about chakras. You'll want to read the article for a better understanding of what these things mean. There is not just one chakra system in the original tradition, there are many. The chakra systems are prescriptive, not descriptive. The Psychological states associated with the chakras are completely modern and western. The seven-chakra system popular today derives not from scripture, but from a treatise written in 1577. The purpose of a chakra system is to function as a template for nyasa. The seed-mantras that you think go with the chakras, actually go with the elements that happen to be installed in those chakras. It’s funny, but reading this actually made me interested in chakra work for the first time. Before, I only talked about/looked at chakra use in relation to when other practitioners advise me on things. They would use mostly western chakra language to frame their advice. For me, the article definitely gives western chakra systems way more context. The author isn’t telling anyone to stop doing anything that’s working for them. What I sense from him is that he is teaching the audience more about how the western system came to be and where it stands in the context of the traditions it was modeled from. If you have found the chakra practice to be a roadblock to your healing, due to it's rigidity in western culture, you may wish to read more about their origins and try something more rooted in tradition. If you have tried chakra work in the past, but never quite felt like it fit you, go ahead and read this article. If you have felt like you just weren't dedicated enough to chakra work and then quit trying, maybe it's just the western system that's not for you. I really like the emphasis on how the way chakras are seen today in western culture, wasn’t meant to be an ubiquitous homogenous system that worked the same for everyone.